Youbet in violation of cease and desist order? Only $750,000 in total handle for Fort Erie on Tuesday. Smoking ban looms as well. Memorial Day Monday, handle was less than $700,000. .....Still, all New York racetracks with VLTs have noticed improving profitability in recent months. And Batavia Downs, with 586 machines, still lags the state's most successful VLT tracks, Saratoga Gaming and Raceway and Finger Lakes. Since its opening more than two years ago, Saratoga averages about $200 a day per machine in profit; Finger Lakes, $189; and Batavia Downs, $109. Both Buffalo Fairgrounds and Mighty M Gaming at Monticello Raceway in the Catskills are slightly behind, based on data from the state Lottery Division. Those gambler you are losing, won't play because they know better, they'll just go elsewhere. The industry needs to lower take-outs, or stop crying. Fort Erie does over 1.3 million in handle on Monday. Great Canadian Gaming reports first quarter profit of .02 per share. This afternoon the Ontario Racing Commission released a ruling that orders the suspension of Great Canadian Gaming Corporation's plans to close the backstretch at Flamboro Downs. The ruling states that John Blakney, executive director of the ORC, has determined that the closure may be prejudicial to the best interests of racing and has ordered an investigation into the matter. "Until such time that the executive director has made a final determination into the matter, GCGC cannot implement its decision, which would have required the horsepeople to remove themselves and the horses from the facilities at Flamboro on or before July 31, 2006," the ruling states. Further, the ORC has indicated that any costs associated with the investigation shall be the responsibility of GCGC. It's the best $20 she ever invested - a Guelph woman hit a $566,995 jackpot on a 25 cent slot machine last Friday at Brantford Charity Casino. "I won on the first $20 I put into the machine. I couldn't believe it," said Cindy Tessier. Tessier and her husband, who have five children and work for Engel Canada, will take a week off work to catch up on sleep. They haven't decided what to do with the cheque. "We're like most of the world, living paycheque to paycheque," she said. Tessier was the first big winner on the recently installed 25-cent QuarterMillions slot machine. Here is a free PDF for today's Kentucky Derby via Equidaily. BRITISH COLUMBIA – As reported by the Vancouver Sun: "Vancouver's financially troubled Edgewater Casino could be run by a Las Vegas casino operator by this summer -- making it the first foreign-owned casino in B.C. "B.C. Lottery Corp. vice-president Kevin Gass said Wednesday that Paragon Gaming is seeking provincial approval to manage Edgewater Casino, located at the Plaza of Nations. "Edgewater Casino owners Gary Jackson and Len Libin filed for court protection from creditors this week, listing about $30 million in liabilities. Gass confirmed they have reached a purchase agreement with Paragon after months of discussions. "…Gass said Paragon has applied to be registered by the provincial gaming policy and enforcement branch in order to buy Edgewater. "…Paragon is a developer and operator of several casinos in the western U.S. and has often developed projects on First Nations properties. It is currently developing two major casino projects in Alberta -- a $180-million resort on Enoch Cree Nation reserve land near Edmonton and a $50-million project near Whitecourt…"
Betfair, the rapidly growing exchange-wagering provider based in Great Britain, believes it could provide up to $50 million in new revenue for itself, racetracks, and horsemen by 2008 should it be permitted to operate in the United States. The company, which now generates about $250 million in revenue a year, has cultivated 500,000 members in four years. 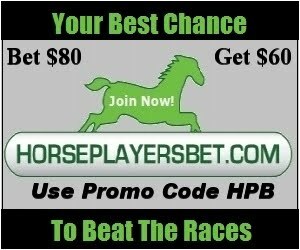 It allows players to wager on horses to lose, and offers other "peer-to-peer" bets on just about anything. The U.S. racing industry has resisted exchange betting. Officials believe Betfair accepts wagers from U.S. residents even though the company said it "does not accept bets from U.S. debit or credit cards." Poll support fading for Ohio slots.